Been looking for something different and hatke this festive season? And have the traffic glitches and crowds been putting you off? We found standout styles which you can just order online (no dealing with traffic or sweaty, grouchy shoppers and salespeople). And these won't bust your wallet. Ajio does these preppy blockprinted shirts which look great mixed with sports-inspired bottoms (slim black joggers, cropped trousers and trainers). Made with cotton, these breezy shirts are perfect for day and night. They flaunt all-over handblock prints, patch pockets and mandarin collars. And best of all, they come for INR 600 onwards. We’re all for sustainable clothing but more often than not, we find ourselves with options limited to neutral and pastel-coloured clothes. The Khadi Cult is a refreshing change - a sustainable clothing label that’s sprucing up the good ol’ khadi fabric with bold colours and fun prints (read kettles, cameras and watermelons). They’ve also got a decent menswear collection that the experimental avant garde man will love. Just FYI, all their clothes are personalised. So if you’ve seen a particular dress on their page but would want the same without sleeves or with pockets, the folks at The Khadi Cult are more than happy to customise - they don’t charge extra for these small alterations either. This festive season, if you wanna go all Dev D, then nothing quite matches the appeal of a well-made kurta. Take it a notch higher with Myntra's asymmetric kurtas we found at Myntra from INR 1049 to INR 1139. They also have great bargains on shirts. And we suggest you forget the fuddy-duffy pants and go for a dhoti instead. You can pick up pre-folded mid-rise ones at Myntra in different colours. They have drawstring waists so you can just pull them on like regular bottoms. Grab these fast – they are available for just INR 419 (after a discount of 70%!). Jaypore curates some of the best handloom wear from around India. You will find good quality cotton, blockprinted shirts for just INR 1,150 and cotton khadi kurtas for INR 1260. If you want to go light, pick up a short kurta for INR 750 only. They dispatch in a maximum of 3 business days. Returns accepted within 10 days of delivery. Yes they have stores across Kolkata but if you don't want to step out after long work hours or during the weekend chaos, order from their online store. We love their jackets in solid colours. The cotton kurtas and shirts with Chinese collars are perfect for the slightly balmy weather we are having in Kolkata. Plus the cottons at Fabindia are always comfy and of high quality, and they last forever! And they start from around INR 900 only. 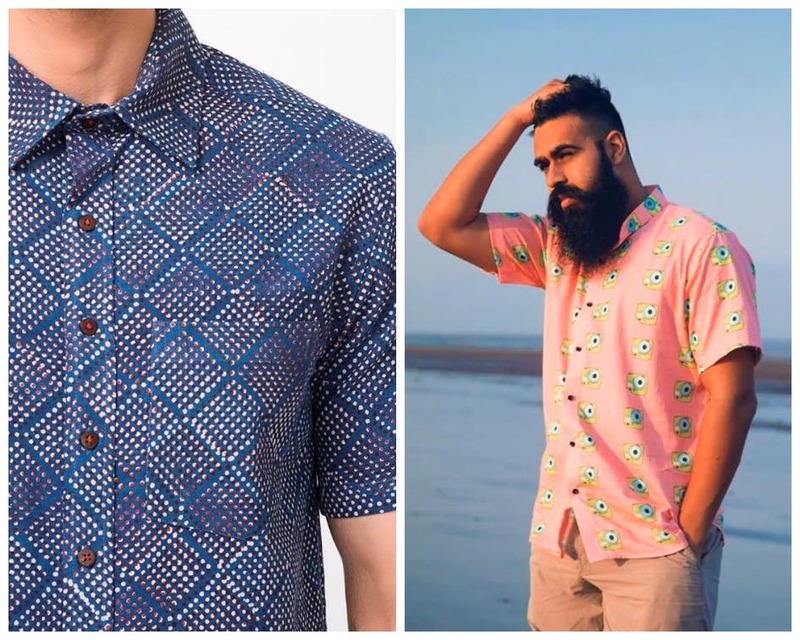 Koovs is one of the more budget-friendly places to shop online, and their range of quirky printed shirts in particular is fun. We're not talking about your run-of-the-mill checks and ginghams here, though, but more about statement prints — from zig-zags to florals, and even wild graffiti!